Speaking in Maine next takes us to Thompson’s Point in Portland and the “2018 Evening for the Environment” organized by Maine Conservation Voters and Maine Conservation Alliance. 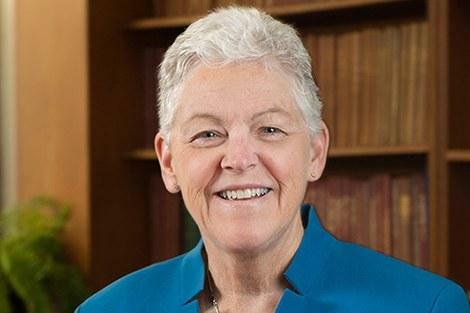 Former Obama Administration EPA Administrator Gina McCarthy, who achieved landmark progress for the agency's health and environmental protection goals during her tenure, delivers the keynote address concerning preservation of the natural world for future generations. Gina McCarthy is Professor of the Practice of Public Health in the Department of Environmental Health at Harvard T.H. Chan School of Public Health and the Director of the Center for Climate, Health, and the Global Environment (C-CHANGE). In this capacity, she leads the development of the School’s strategy in climate science, health, and sustainability; strengthens the climate science and health curriculum; and liaises with climate science leaders across the University. A longtime public servant, McCarthy was previously Assistant Administrator for the EPA Office of Air and Radiation, Commissioner of the Connecticut Department of Environmental Protection, Deputy Secretary of the Massachusetts Office of Commonwealth Development, and Undersecretary of Policy for the Massachusetts Executive Office of Environmental Affairs. In the EPA Office of Air and Radiation, McCarthy strengthened collaborative efforts with public health agencies and organizations across the U.S. to identify and reduce threats to human health from harmful air pollution, including carbon pollution that fuels climate change, by updating health- and technology-based emissions standards, establishing greenhouse gas standards for cars and trucks, promoting energy efficiency and alternative fuels, and mitigating harmful exposures to indoor air pollution. In Connecticut, she was instrumental in developing the Regional Greenhouse Gas Initiative, a multistate effort to reduce emissions contributing to global warming, which has spurred economic growth, improved public health, decreased energy demand and helped mitigate electricity price increases across the region. During her career in Massachusetts, McCarthy advised five governors on environmental affairs, worked at the state and local levels on critical environmental issues, and helped coordinate policies on economic growth, energy, transportation, and the environment. McCarthy holds a Master of Science in Environmental Health Engineering and Planning and Policy from Tufts University and a Bachelor of Arts in Social Anthropology from University of Massachusetts at Boston.